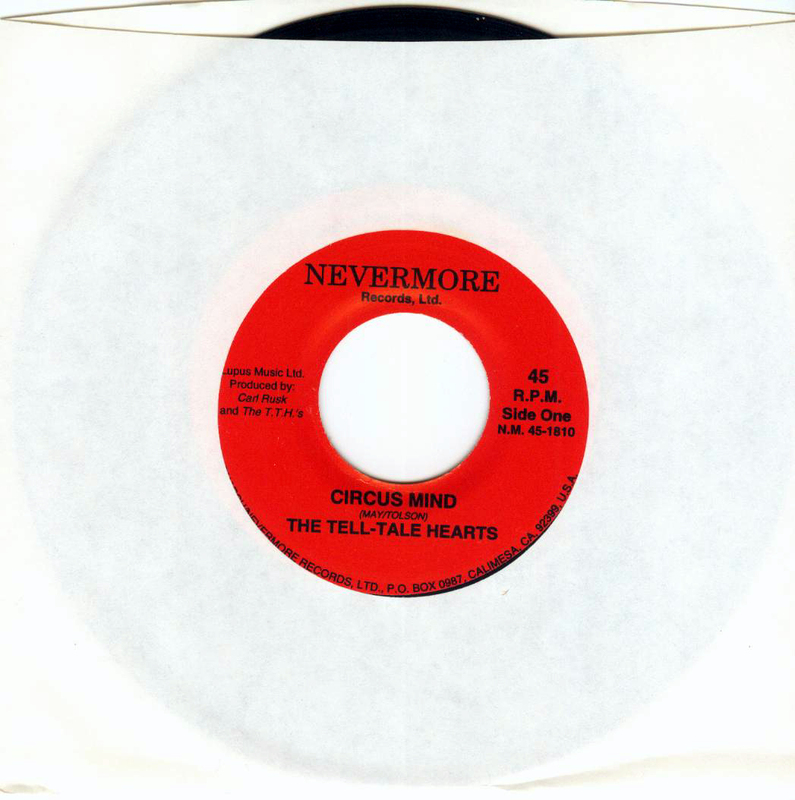 The Tell-Tale Hearts - Circus Mind / Flying (Nevermore) 7"
Original 1994 pressing on Nevermore Records featuring two 1989 recordings by the Mark III version of the Tell-Tale Hearts. A-side is an uptempo rearrangement of the Pretty Things' 1971 B-side. Phil May: "The Tell-Tales have gone to the other end of the spectrum to pump in their own personal energies and feelings. They've turned what was just a vignette in the Pretties' version into a whole song that drives the distance." Picture sleeve version sold out, so it comes in a plain white sleeve.